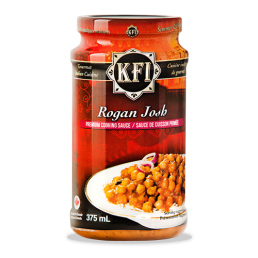 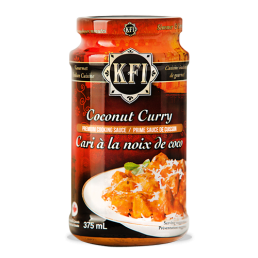 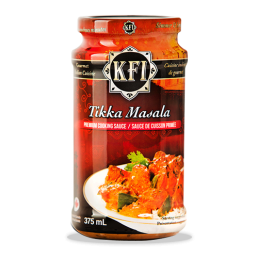 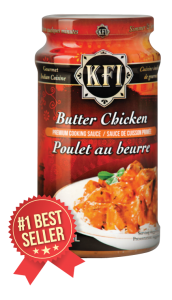 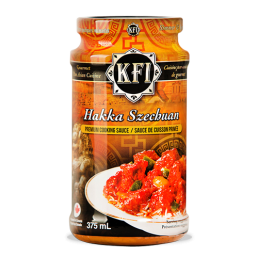 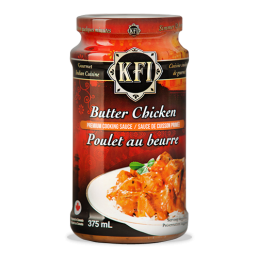 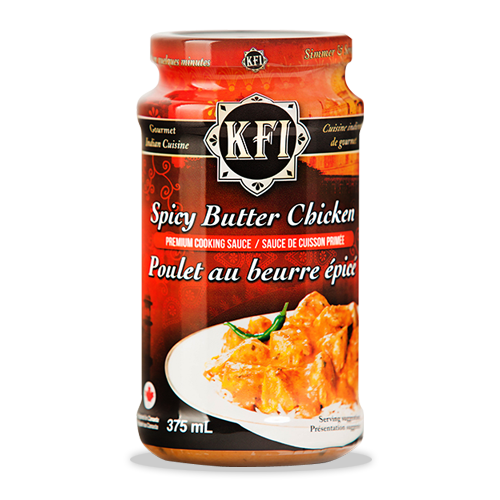 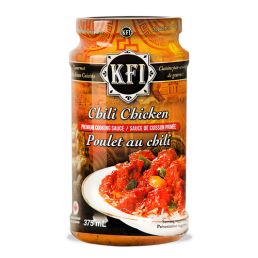 KFI’s Spicy Butter Chicken sauce is a delicate tasting buttery tomato sauce mixed with various spices, including cumin, cloves, cinnamon, coriander, fenugreek and cream. 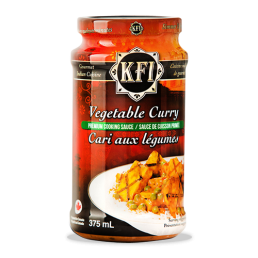 This spicy cream curry base bodes well with most meats, vegetables and seafood. Spicy Butter Chicken Ingredients: Water, tomato paste, whipping cream (cream, milk, carrageenan), sugar, ginger purée, garlic purée, spices, salt, olive oil, canola oil, modified corn starch, citric acid. 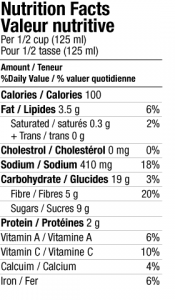 Contains: milk, sulphites.